High sea adventures? Catch the wave with this pretested German Middy. 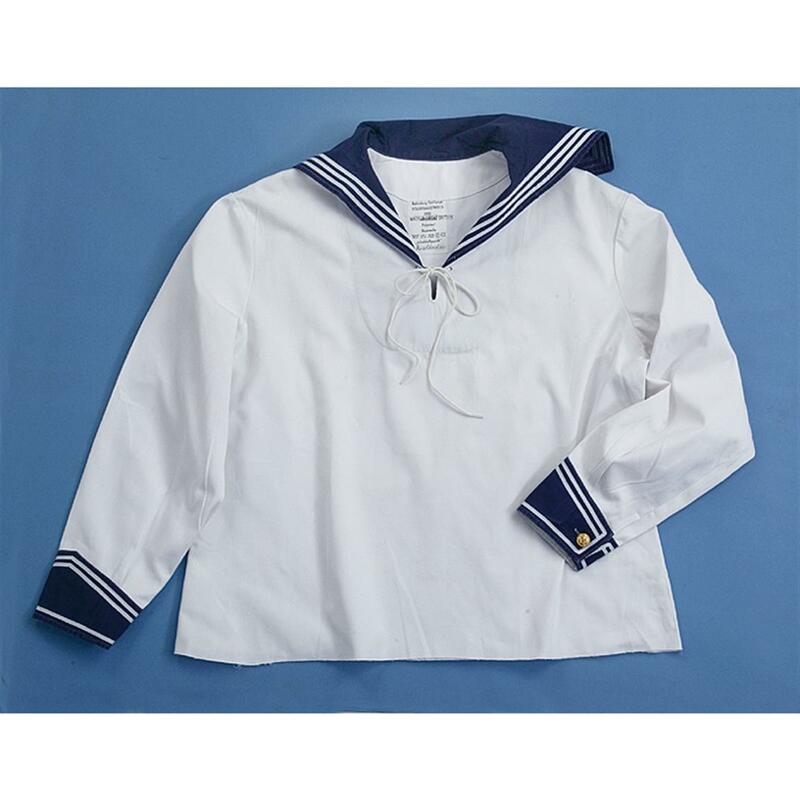 The official uniform top for any midshipmen in the German "Marine." As seen riding the choppy North Seas and pulling into port at Rostock. A must have for theatre, reenactors or just as a collector item. Cool wear for when the going gets hot. Runs Bigaria-label="A rating of 1 means too small, a rating of 5 means too big, a rating of 3 means true to size. This items average rating is 4.3.